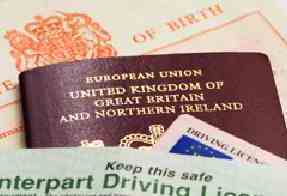 All birth certificates supplied are full long form certified copies for England and Wales, Scotland, Northern Ireland and the Republic of Ireland and include parents names. The certificate is issued shortly after a person's birth, usually after the mother's physician files the required forms with the appropriate agency. It is normally compulsory to obtain a birth certificate for a newborn. The official birth certificate is usually stored at a record office, and certified copies of the original are issued when requested. In Canada and the United States of America, it is stored with the receiver's state or province. In some American states, the responsibility for such Services has been delegated to counties or towns. As with other UK Services, the definitive copy is handwritten in highly-permanent ink, even though the rough-draft and official copies may be type-written.